Liquid product formulated with sodium hydroxide, nonionic surfactants and sequestering dispersants. OXA - MOUSSE FORT is a clear, almost colorless strongly alkaline liquid detergent specially formulated to be applied by spraying machine foam. 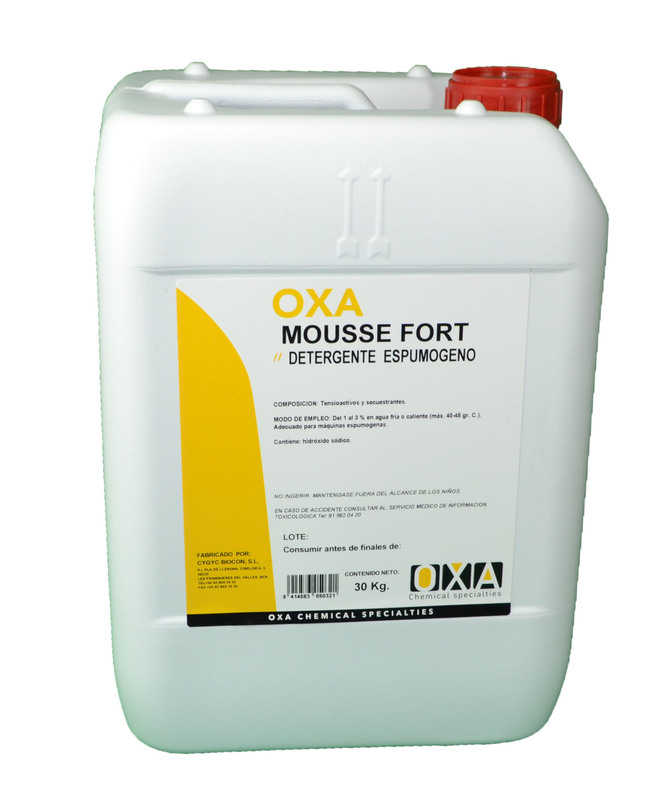 OXA - MOUSSE FORT provides a degreaser and sequestering effect, with a special action on the very soil of the (meat, dairy, canning, etc.) food industries. Foaming chlorinated and disinfectant detergent.